Police say at least 17 people were killed when a speeding tourist bus overturned after hitting a concrete road divider in northern India. 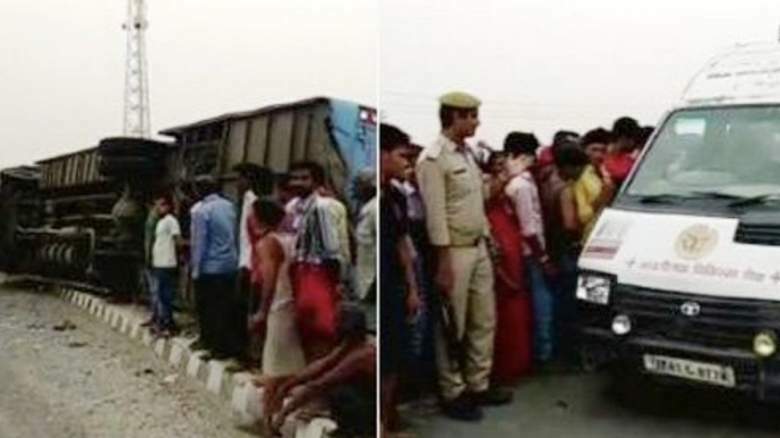 Police officer Ajay Shanker Rai says another 17 people were injured in the accident on Wednesday near Mainpuri, a town in Uttar Pradesh state. The injured have been hospitalized with three of them in critical condition. Rai says the bus overturned as the driver lost control at a sharp bend.